These delicate and graceful traditional Agaseke peace baskets are woven in Rwanda using native grasses, reeds, and sisal fibers. Coil-woven using native grasses and fine sisal fiber, these baskets are firm, but incredibly soft to the touch. 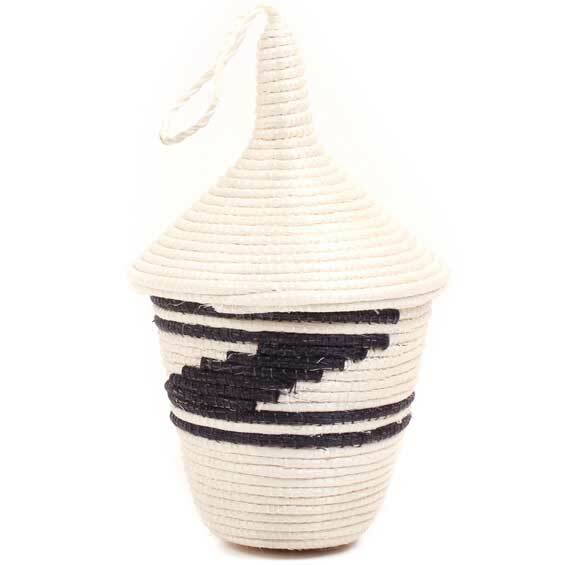 The shape of the basket and the bold zig-zag design are very traditional and distinct to Rwanda. In Rwanda, basket weaving is passed down from generation to generation, from grandmother to mother to daughter.